Hello all! This semester I am studying abroad at the University of Auckland on the North Island of New Zealand. I am here during their first semester of the year and it is still very warm as students are just coming off summer holiday; I will be leaving during the winter in July. My home institution is Babson College in Massachusetts and I am a long ways away from my home right outside of New York City. I have made this blog to capture all of my memories while abroad and for my friends and family so they can feel as if they are experiencing each and every day alongside me. I want to thank everyone who reads my blog and I welcome feedback! 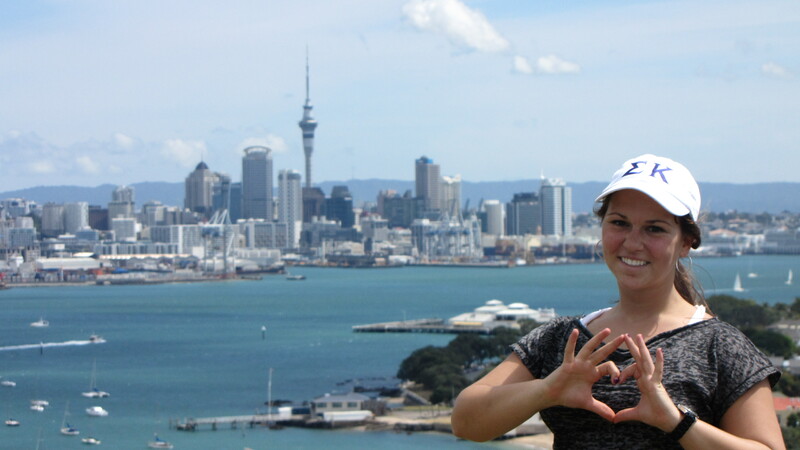 Shout out to my Sigma Kappa sisters as I am overlooking Auckland.